Your children have the right to be financially supported by both of their parents. At Hoff, Bushaw & Matuszak, we understand that your children need this support to be able to live happy and healthy lives. We will help ensure that your children are effectively supported by both parents. In Wisconsin, courts use legal standards to determine the amount of child support that you are entitled to receive or obligated to pay. The court will consider a number of factors, including both parents’ income, where your children are living, and how many children you have. Child support can be an issue in divorce, post divorce, and paternity cases. 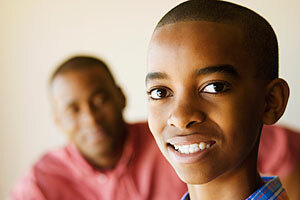 Paternity cases are those where a child’s parents were never married but still need to resolve child support issues. If you are going through a divorce, the court will order child support, if necessary, in your final divorce judgment. In a post divorce or paternity case, the court will enter a separate order addressing child support. Even after your divorce is final, your family’s circumstances may change in a way that entitles you to receive more child support or pay less child support. For example, if you or your child’s other parent experiences a significant change in income, give us a call and we can assist you in determining whether the amount of child support you pay or receive should be changed. Also, child support may be changed if your children are spending a significantly more time at your residence than they were when you got divorced. If you believe that you should be receiving more child support or paying less child support, please give us a call and set up a free initial consultation. Attorney Daniel J. Hoff, Attorney Amy L. Matuszak, and Attorney Brian J. Bushaw will be more than happy to assist you with any questions you have.